Overbye Transport is constantly supporting its independent owner operators and investing in green technology. 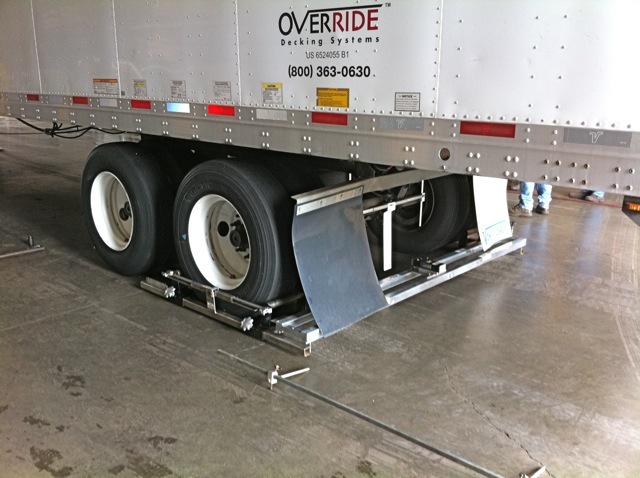 One of our latest investments is an alignment tool that helps keep trailer tires true, helping the trailer to track better. This not only improves the performance of the trailer and saves tire wear and tear, but improves the performance of the tractor’s tires as well. Benefits include fuel savings by reducing drag and resistance. For our owner operators it’s a win-win: longer tire life and better fuel economy.